Since 1959 Renning's Flowers has been serving the Mayo Clinic, St.Marys Hospital, Methodist Hospital and the entire Rochester, MN area with the simple philosophy of using only top quality fresh flowers and plants and giving unsurpassed customer service, We are a local flower shop in Rochester, Minnesota providing beautiful fresh flowers and plants for birthday, anniversary, sympathy and hospital occasions. We would appreciate the opportunity to serve you when you buy flowers in Rochester, MN and nationwide. Renning's has been family owned and operated since it opened in 1959 and for the past 18 years we have received the Top FTD Member award and recently FTD awarded Renning's Flowers with it's "Top 100" and "Master Florist" designation. FTD's way of identifying the "best of the best" in the florist industry! We use our own professional drivers for local deliveries and can send orders nationwide using our memberships in FTD and Teleflora. Renning's Flowers was started in 1959 by Bud Renning. In 1988 Bud retired and sold the store to his daughter Kim and her husband Phil. They run it today with the help of their daughter Andrea. Weddings are a special celebration in one's life and beautiful flowers enhance the special day. 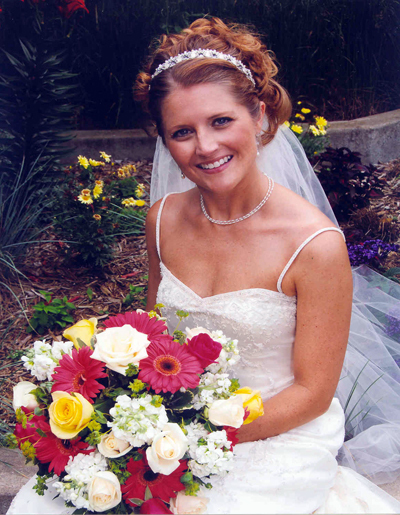 Our Wedding Consultants are well versed in Traditional and Contemporary Wedding design. We work with any budget, so give us a call (507-289-1818 / 1-800-598-5568) to set up an appointment. Many factors go into the quality of fresh flowers. They're graded on bud count, length, weight and quality. At Renning's we only use the top graded fresh flowers. But purchasing fresh flowers is only half of the reason Renning's Flowers last longer than most. We also use the finest handling and quality control procedures to ensure your bouquet lasts a minimum of 7 days. We have 2 locations; Elton Hills Dr NW and the Marriott Hotel Subway to serve you. You can also call us 24 hours a day with our personalized phone service or visit us on the web at www.renningsflowers.com. Every order comes with an unconditional satisfaction guarantee. This assures that your order is given the utmost attention and professional care. We want to be your floral provider today, tomorrow and forever.